Weekend before last, Don and I made a rare trip together. We drove to Oregon to attend the Mother Earth News Fair. I've always wanted to attend this event, and when the Duffys (Dave and Ilene) graciously offered us hospitality, we took them up on their offer. 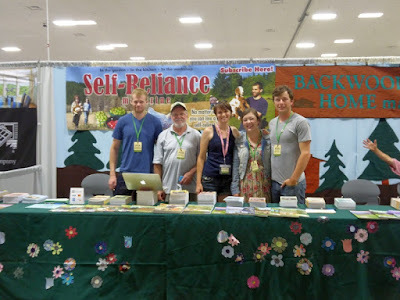 The Duffys, by the way, are the publishers of Backwoods Home Magazine, which had a booth at the event. I've written for BWH for years, and you'll never meet lovelier people. 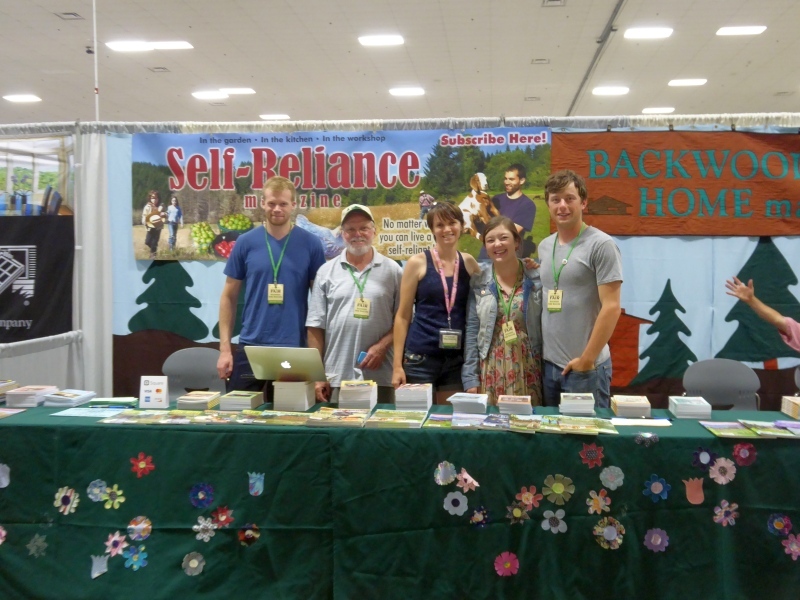 Two of their children, Sam and Annie, are now publishing the excellent spin-off magazine Self-Reliance. Don and I hadn’t traveled together on a trip for, oh, probably 15 years (usually one or the other of us has to stay on the farm). 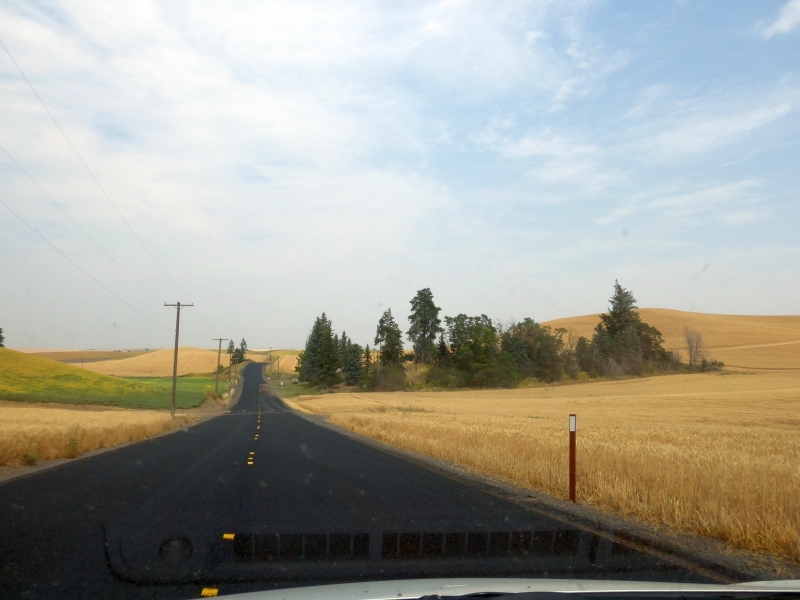 We’ve gone to Oregon plenty of times separately on business, but never together. We weren't in a hurry, so in fact when we missed a critical exit to take Hwy. 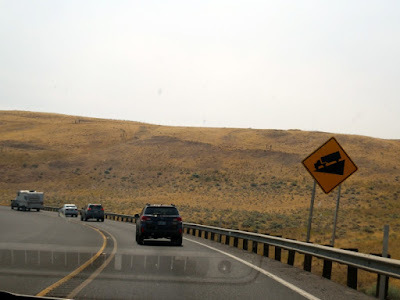 395 south and found ourselves on the way to Seattle, we just shrugged giddily and took an alternate route that eventually connected us with Hwy. 84 toward Portland. Who cared how long it took to get to our destination? We were on the road together! 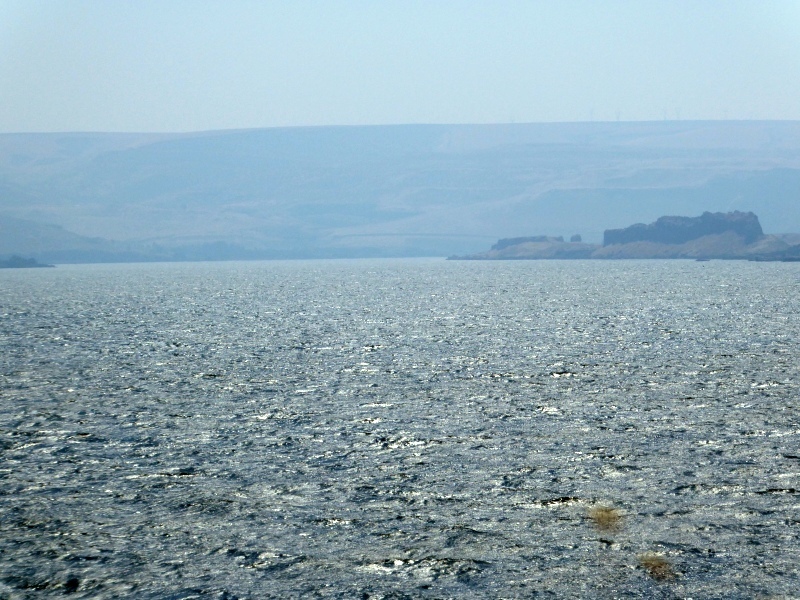 We crossed the Columbia River at Biggs. 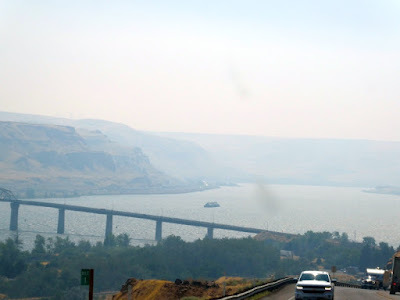 It was very smoky from distant wildfires. 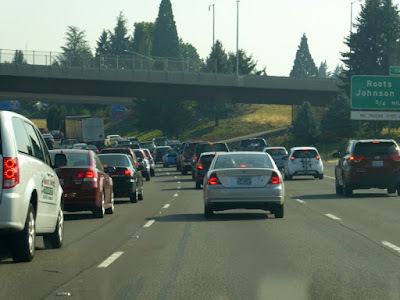 We managed to hit rush-hour traffic in Portland. This reminded us of how wonderful it is never to have to deal with rush-hour traffic. The Duffys are wonderful, hospitable hosts. They made us feel completely at home. Don and Dave shared a couple of beers on the deck, Ilene and I cozied up for some nice conversation as we prepared a spread of food for a Saturday evening gathering of many guests, and in all ways they treated us like family. Here are some of the people who manned the booth over the weekend (left to right): Sam Duffy, Dave Duffy, Annie Tuttle (Dave's oldest daughter), Jessie Denning (BWH's managing editor),and Tim Denning (Jessie's husband). The disembodied arm on the right is Don's. Ahem. 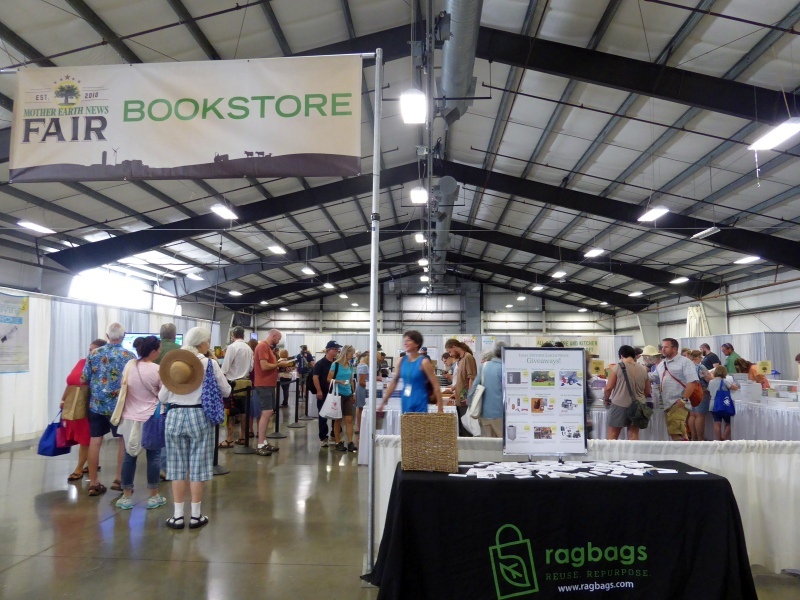 One of the biggest attractions at the Mother Earth News Fair was the book sale. Ahem. We might have picked up one or two volumes. 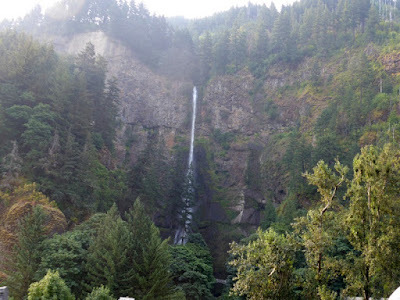 On the way home we stopped briefly at Multnomah Falls but didn't linger long. 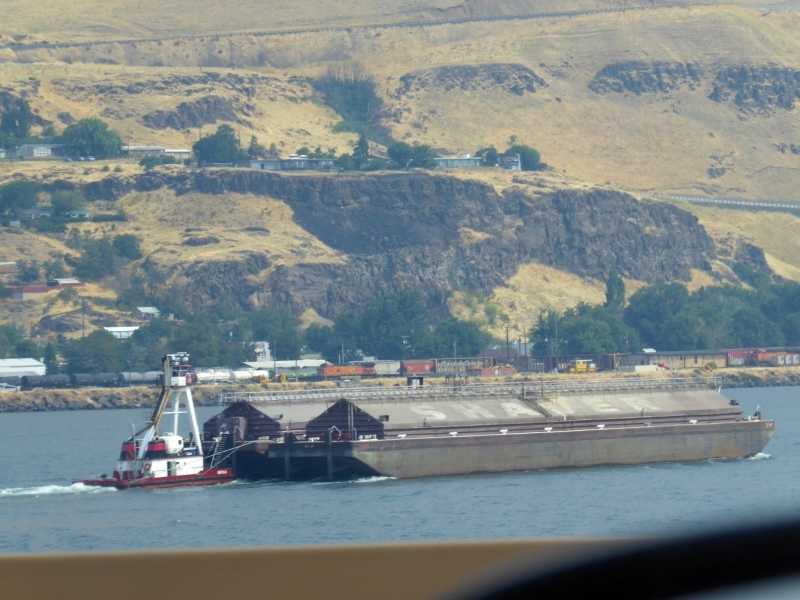 Here's a tugboat pushing a grain barge up the Columbia River. 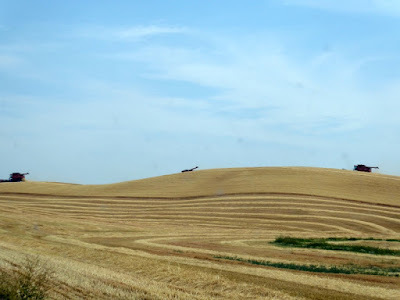 ...where the harvest was taking place. We left home on Friday and returned Monday. Just a fast weekend away -- but it was such a treat to travel together! Since we'll soon be empty-nesters, we're going to investigate the possibility of traveling a bit more in the future. So how was the fair? Never been but would like to someday. I must be a country girl. Love your header photo. 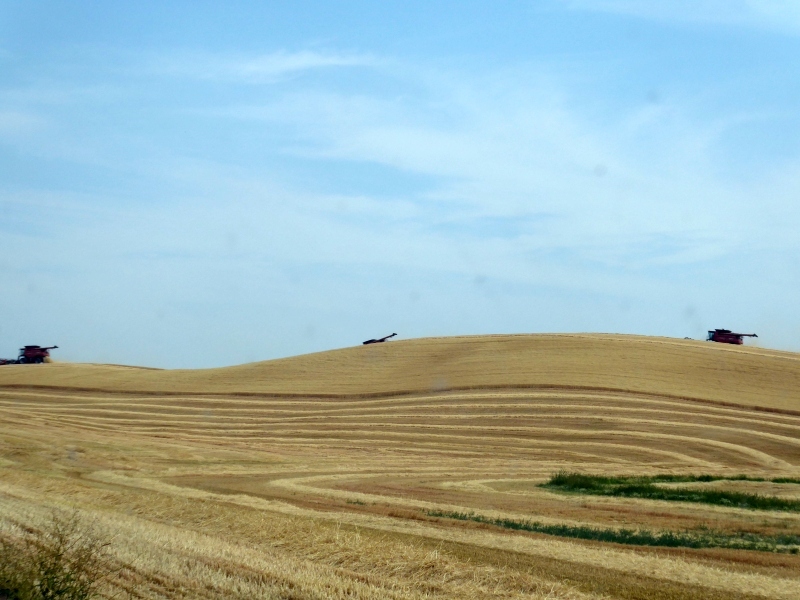 Nothing makes my heart sing like a beautiful swath of mown hay. What arrangements did you make for the cattle while you were gone? 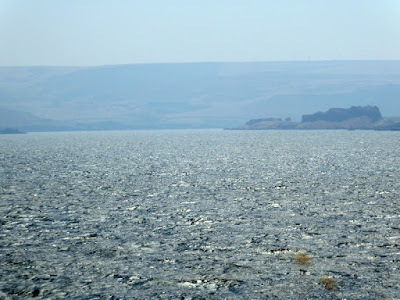 Is the weather good enough and water available enough to just leave them in the fields? Instead of saying 'one or two volumes' would 'one or two armfuls' have been more accurate? Younger Daughter acted as our house-sitter for the weekend. After she departs for the Navy, we'll have to make alternate arrangements if we want to travel.